Stephen Sackur talks to Can Dündar, who has experienced imprisonment, violence and exile after publishing material which infuriated the Turkish president. Browse content similar to Can Dündar, Former Editor of Cumhuriyet, Turkey. Check below for episodes and series from the same categories and more! its soul, who is a winning? 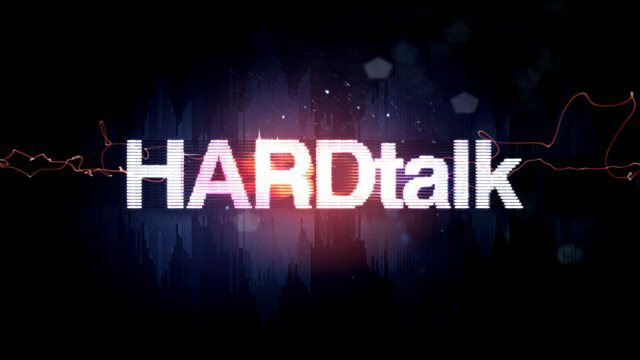 Can Dundar, welcome to HARDtalk. in your last period inside Turkey? by a very despotic government. Do you have security right now? there was an attempt on your life. Do you feel secure in Germany? Yeah, I do have security. they come and protect me. in a pretty favourable manner. who stands up to the military". you totally misunderstood the man? But you took some rash decisions. Of course, we knew it. In a way, we were expecting it. nobody was supposed to do about it. It was Turkey's Iran gate. in the Syrian war in an illegal way. a journalist in a different country. Have you seen the film The Post? about this kind of danger. and assistance to Turkmen civilians. That is what Mr Erdogan said. the Turkmen denied this allegation. and we were opposing it. So that's what it was important. you went through due process. but he did not do it himself. What were those 92 days like? I was in solitary confinement. so psychologically I felt ready. is going on in the country. difficult, it was not easy to do it. but the price is high. You must be brave enough to do it. you are free to do it. to put it the price is very high. and you decided not to go back. then the rule of law was lifted. I decided to stay in Germany. to an attempt on your life. you at very close range. of Turkey in the end? it seems, between him and the state. with his passport in his pocket. thing for you to swallow. a passport but he has. from visiting you in Germany. There is no accusation against her. the family away from each other. are facing more legal proceedings. They have no title as journalists." about him, he is the man. to run such a country. last referendum. It is bravery. the issues that I agree with him. Turkey, number one is Erdogan. Erdogan was in charge of the money. right guy to partner with. he said, but we act within the law. them into the state. They made it. creator. It is a Frankenstein story. deal, others say practical politics. you know, 50% of Turkey. know, publishing books about Turkey. a member in this family. putting it on as a play in the UK. it make your life worth living? Yeah. This is a lifelong experience. a play out of this. politics. It will stay for years. are so concerned about them? twice. That is a kind of censorship. to live with your wife again? is dangerous and risky for them. This country will not surrender. More than 150 journalists are currently in prison in Turkey. President Erdogan's government stands accused of an all-out assault on freedom of expression. Stephen Sackur talks to Can Dündar, former editor of the Turkish daily Cumhuriyet, who has experienced imprisonment, life threatening violence and exile in the last couple of years after publishing material which infuriated the Turkish president. In the battle for Turkey's future and its soul, who is winning?